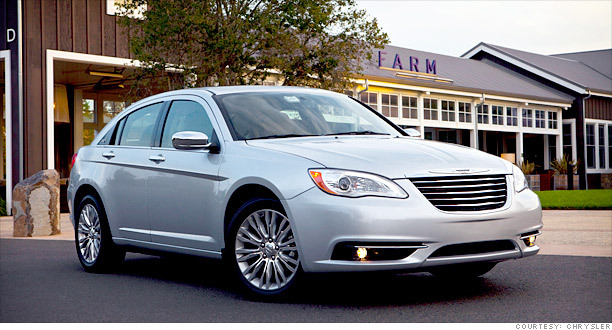 The Chrysler 200, a reworked version of the failed Sebring, is also outselling its predecessor--and by a wide margin. Much of the surge is due to another successful redesign with new body panels, grille, and lights front and rear. But a piece of the credit goes to the new name that connects it to its upscale car lot neighbor. "By changing the name, Chrysler was able to let its midsize offering ride the coattails of the Chrysler 300 and to encourage consumers to think of the 200 as the younger brother of the flagship 300," says Edmunds' Acevedot. "It also has the added benefit of distancing itself from its predecessor, a vehicle notorious for quality issues and fleet pervasiveness." The Big Three automakers may be back in business, but they're not out of trouble. Here are 7 cars that will keep them on the road to profitability.